Having fun in the sun in Southern California is easy as the weather is mild most of the year. When you want to have some fun, drive to the beach and play for the day. Whatever your interests are, it is here at the beach. Orange County: Try Newport Beach, Huntington Beach, Long Beach, Laguna Beach, Doheney State Beach, Dana Point, Carlsbad, Capistrano Beach, San Clemente, and Oceanside. LA County: Venice Beach, Manhatten Beach, Maibu, Hermosa Beach, Playa Del Rey, Zuma Beach, Santa Monica, Santa Barbara Beach, Lunada Bay, Rancho Palos Verdes Beaches. San Diego: La Jolla Beach. Mission Beach, Coronado, Mission Bay, Blacks Beach. Whatever your sport is, you will find it here in California. You can go Kayaking, Paddle Boarding, Hiking, Bicycling, Running, Fishing, Sailing, Jet Skiing, Flying Kites, Golf, Dolphin & Whale Watching, Surfing, Whale Watching, Bird Watching or Swimming. Every weekend you will find car shows and art by the sea shows. Great places to shop for trinkets and hundreds of places to find delicious food. If you don't have a favorite sport, find one here. California is one of the top places to retire and be blissfully happy. California is a dream-come-true state no matter what your needs or wants are. We have year round warm weather, beautiful beaches, rustic mountains and desert communities. If you are looking for a home in Southern California, please contact me. 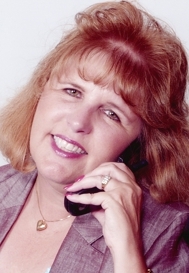 I am a local California Realtor, live in the Inland Empire community and I am aware of the local market. I am here to help you find a home or to sell the home you currently own. California has great opportunities to view Nature and Bird Watching. Whatever your needs are, you will find it here in California! From the Inland Empire you are 45 minutes to the beaches, mountains or desert. Housing is affordable in the Inland Empire area.